Sew Inspired: squeaking in a wordless Wednesday post. squeaking in a wordless Wednesday post. I can't wait to see what you're making! 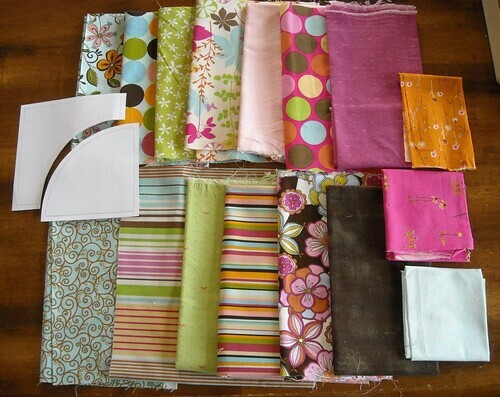 Your fabric selection is great! Love your fabric selection and am I seeing a pattern for a circle quilt? Can't wait for the reveal! Wow! That's all I have to say! And can't wait to see it. I guess I'm not so good with 'wordless' (lol!). sew and tell Friday--quilt top!